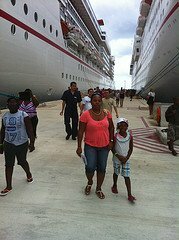 You have arrived on a page that offer tips for shopping in cruise ports. 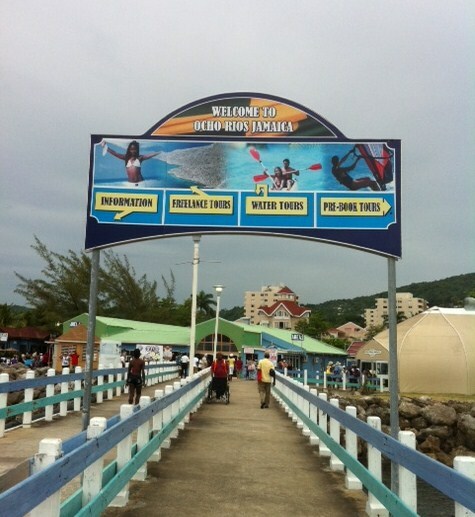 Depending on the length of your Caribbean cruise, you will visit one or more ports of call. These ports such as Ocho Rios, Jamaica; St. Thomas, USVI; Nassau, Bahamas; Georgetown, Grand Cayman, Cayman Islands; and Cozumel, Mexico are pretty popular for the fun activities they provide and also for shopping. 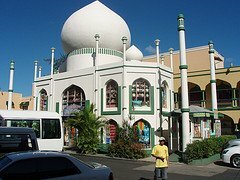 You will find many great shopping deals on jewelry, craft, native products, and much more at any port of call in the Caribbean. However, there are important tips to remember when shopping in cruise ports. Every cruise ship has pre-port of call shopping talks or briefings. There is also someone onboard called a Shopping Specialist, Expert or Consultant. This person gives you information about the "preferred" stores in each port - those where you should spend your money with confidence that the deal is right. Your Shopping Expert will also give you a map or booklet with a layout of the port of call, with some mark identifying each store that you should visit. The "preferred" stores generally offer you discounts or free items as incentives for entering their doors when you arrive in the port. However, what you may not know is that the preferred stores pay a fee to get their stores listed in the printout that you get. You also may not know that the Shopping Expert may not be an employee of the cruise line, but instead a rep from a company trying to get you to spend money at particular stores. If you have cruised before, it goes without saying that the Expert offers some good tips. But, there is a reason he/she promotes certain stores in the ports of call and not others. Tip: Listen to your Shopping Expert. When you get to shore, visit the recommended stores, but do not buy the first items you see. Your Shopping Expert onboard the cruise ship will tell you that the preferred stores have the best prices and a solid money-back guarantee plan. In terms of prices, the recommended stores in ports of call are able to offer "low" prices on their items because of the volume of people they have getting off the ships and walking through their doors. However, they may not have the lowest prices. 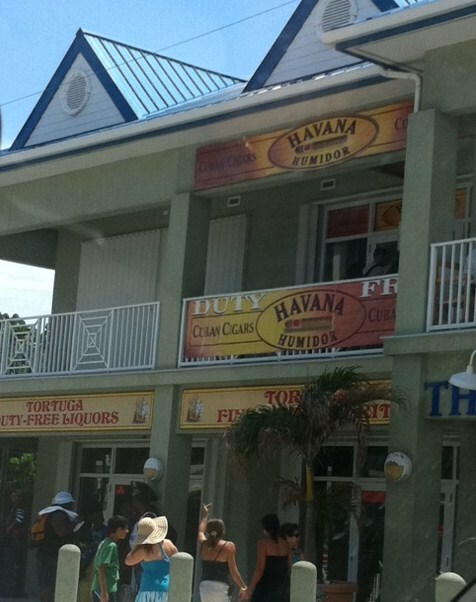 If you walk a couple blocks or more away from the cruise pier, you will find other stores, "non-preferred", selling the same quality items. In many cases, their prices will be better than at the preferred stores. Why? The non-preferred stores did not pay to get their names and information into the shopping guide you receive onboard, and so they know that they must compete in order to sell anything. Consequently, the best they can do is offer great prices on their products plus outstanding customer service. Tip: Never buy the first items you see. Shop around. Before sailing, ask friends or relatives (even on cruise review sites such as CruiseCritic.com), where they shopped on their cruise ship vacation. Also, about that money-back guarantee - read the fine print. It may not be as rosy and simple as it sounds. My wife is a great shopper. She bargains for everything. Sometimes I feel sorry for the seller, thinking my wife drives a hard bargain. You may feel like that too, and do not want to pay "too little" for the item - depriving the "poor" vendor. Or, you may be like my wife, driving a hard bargain. Tip: The vendor will not sell you the item for less than what will give him or her a profit - enough to pay his supplier or boss (if there is one), and to have money to take home to the family. Furthermore, vendors in cruise ports expect that passengers will bargain. Hence, their prices will be more than what is reasonable, in anticipation of having to take something off, but leaving it at what works for them. You are now armed with some shopping in cruise ports tips which, if you follow, will work to your good. Shopping in ports of call is fun. Have a blast and save some money.